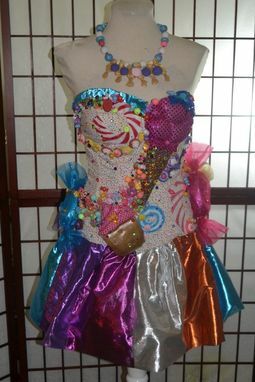 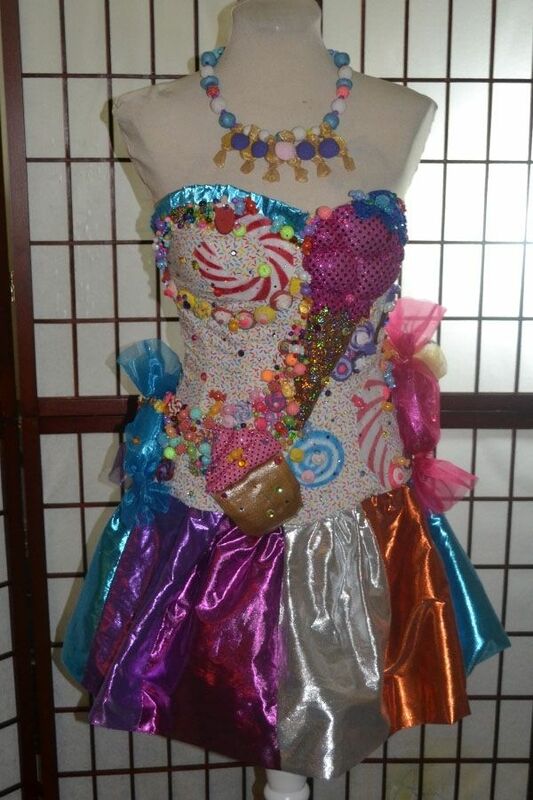 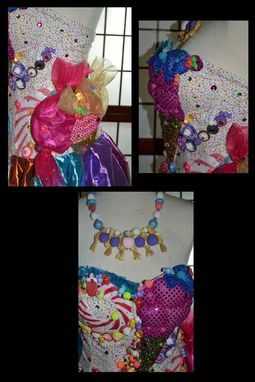 Replica of Katy Perry's candyland dress from her music video California Girls. 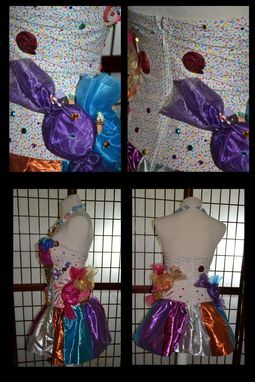 Steel boned corset with Tissue Lame rainbow skirt. 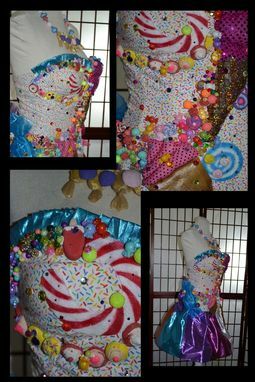 Icecream, Cupcake, and candy details throughout the dress.